If you ask your friends and family about weight-loss diets, they'll all give you a different opinion. They'll tell you about miracle diets, strict diets or even extreme macrobiotic or paleo diets. After trying them all out and failing, you can then go and download Nootric, Nutrition and weight-loss diets. 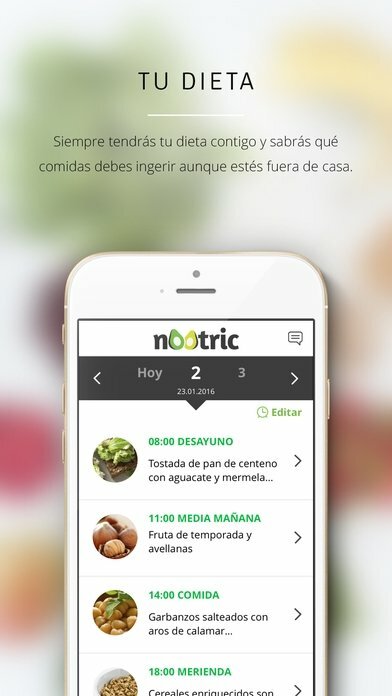 With this app, you can turn your iPhone or iPad into your personal nutritionist because it's a healthy food resource that offers us different diets and advice to keep a healthy lifestyle and meet our nutrition goals. 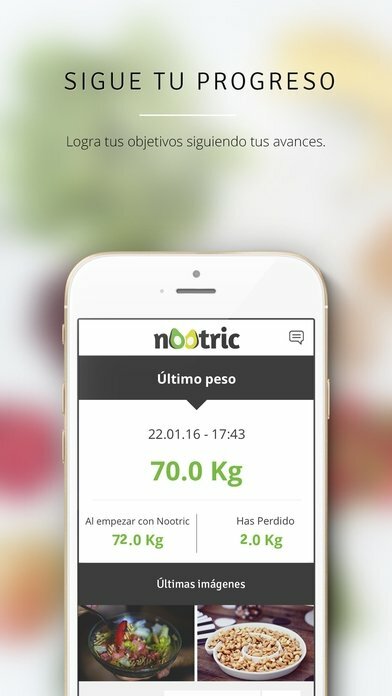 That's the main target of Nootric, to become a pocket-sized dietician with the best diet advice depending on the goals you've set out. Now that you know what it is, to know how it works you've only got to create a user profile, inputting certain personal details, and the reason why you want to diet. 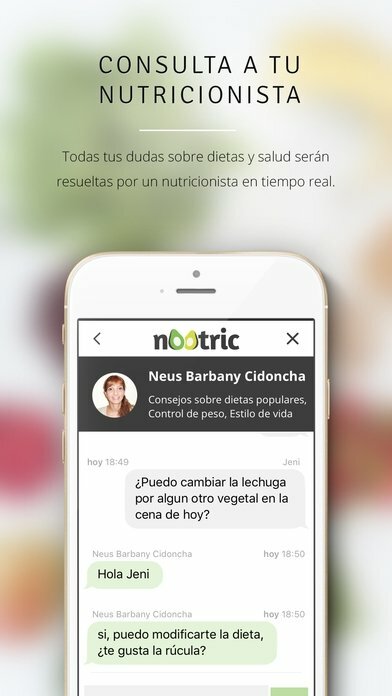 The application can work on several different cases, as it takes into account the possibility to offer a wide range of diets: for weight-loss, for vegans, for vegetarians, for athletes, for food and gluten intolerants... just indicate your case and you'll receive a complete diet with recipes and dishes appropriate for each moment, as well as daily instructions for your meals. 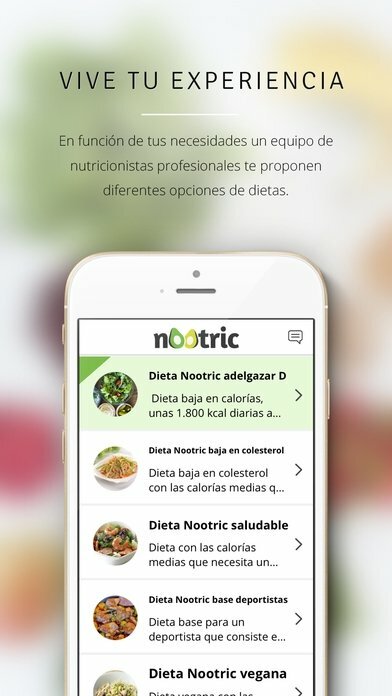 The iPhone app that will help you to lose weight developed in collaboration with professional dieticians and nutritionists. In any case, you'll never be alone because it incorporates a chat and instant messaging system that puts you in touch with food experts that will advise you and settle all the doubts you may come up with. Register your details and goals. Look up contents adapted to your targets. Try out the diet that suits your nutrition needs the best. Get in touch with experts. 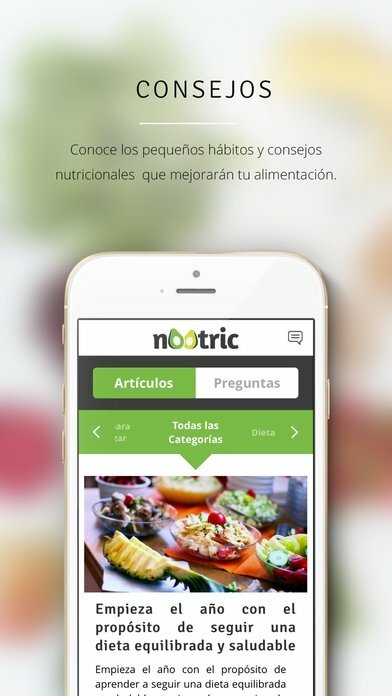 Check which menu to eat, how much and number of daily meals. Share photos of your meals.